Urōzgān (Pashto: اروزګان، روزګان‎; Persian: اروزگان‎‎), also spelled as Uruzgan, Oruzgan, Orozgan, or Rozgan, is one of the thirty-four provinces of Afghanistan. Urozgan is in the center of the country, although the area is culturally and tribally linked to Kandahar Province in the south. The population is 333,500, and the province is mostly a tribal society. Tarinkot serves as the capital of the province. 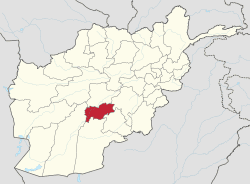 Urozgan province is located in the southern Afghanistan, bordering Zabul and Kandahar to the south, Helmand to the southwest, Daykundi to the north, and Ghazni Province to the east. Urozgan covers an area of 12,640 km2 (1,264,000 ha). Much of the province is mountainous or semi-mountainous terrain, while the rest of the area is made up of flat land. The region was part of ancient Arachosia, and was ruled by the Medes before it fell to the Achaemenids. In 330 BC, Alexander the Great occupied the area but left it to Seleucids to rule. It was taken by Mauryas later and ruled under Ashoka. By the 7th century, when the Arabs first arrived, it was under the control of the Zunbils before being conquered in the name of Islam by the Saffarids in the 9th century. It fell to the Ghaznavids followed by the Ghurids before the Mongol invasion in the 13th century. The area was ruled by Arghun Khan of Ilkhanate, later by the Timurids, Mughals and Saffavids. In 1709, the Hotaki dynasty rose to power in Kandahar and defeated the Safavids. Then, he took control of entire southern Afghanistan while most of the Durrani Pashtuns were settled in the Herat area at the time. In 1747, one of Nader Shah's commanders, Ahmad Shah Durrani, became leader of the Afghans and the region of Urozgan was one of the first to become part of his new Durrani Empire, which became to what is now the modern state of Afghanistan. From 15 to 19 June 2007 Dutch, American, Australian and Afghan soldiers defended the town of Chora against an assault by Taliban combatants. Reports in the Dutch, Australian and US press indicated that the battle was one of the largest Taliban offensives of the year. The fighting resulted in the deaths of a Dutch soldier,1 Australian soldier, 1 American soldier, 16 Afghan policemen, an unknown number of civilians and a large number of Taliban. The current governor of the province is Amanullah Timori. The city of Tarinkot is the capital of the province. All law enforcement activities throughout the province are controlled by the Afghan National Police (ANP). The provincial police chief represents the Ministry of the Interior in Kabul. The ANP is backed by other Afghan National Security Forces (ANSF), including the National Directorate of Security (NDS) and NATO-led forces. The population of Urozgan is reported to be around 333,500. The province has an estimated 45,000 households, each with about six members on average. A large portion of Urozgan's settled population is from ethnic Pashtun which makes 65% The second largest ethnic group is the Hazara people. almost all of the lands belong to Hazaras which was occupied by king Abdul Rahman in 19th century. 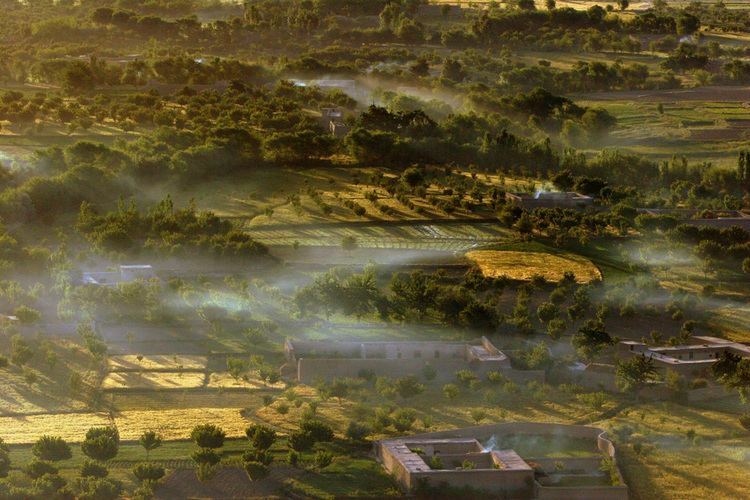 Hazara which in Makes 35% of Urozgan which mostly found in Tarinkot . There is also a population of Kuchis (nomads), whose numbers vary with the seasons.